Over the years I’ve been changing up my daughter Hannah’s room in bits and pieces, taking it from tween to teen and also giving it the ability to double up as our guest room when friends and family come to stay, and I’m so excited to show you one of the final details! Last year I took two twin beds that we already had and made them into a king (you can read about how to do that here). 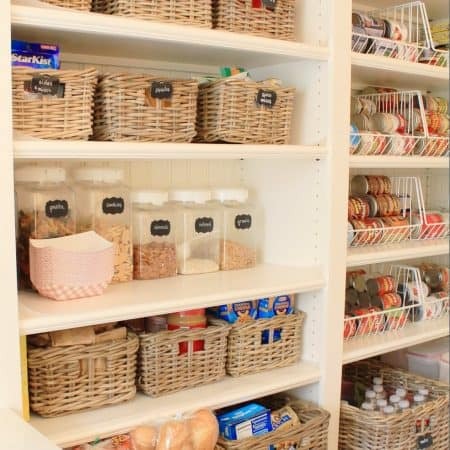 This has worked out really well for hosting guests, and it’s a dream come true for my sleep/lounging/bed loving girl! Initially the supersized bed got a new bedskirt, pillow top mattress pad, sheets and down comforter, but the one missing component was a duvet. 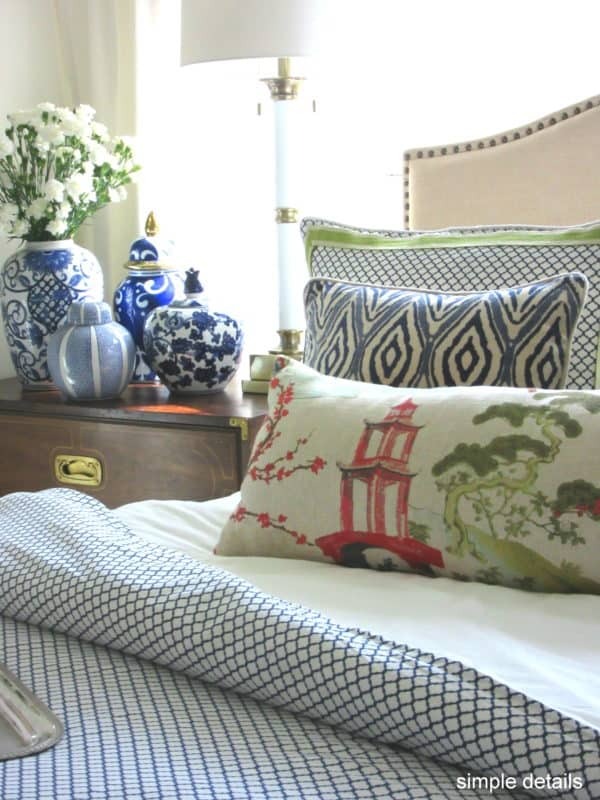 When Crane & Canopy reached out to one of my blogging besties, Pam of Simple Details, and I to give a room a refresh with their bedding, it was a match made in heaven. It’s amazing how that one detail of adding a duvet and shams made Hannah’s room feel finished! We went with the Mirabel duvet and shams, and they transformed Hannah’s bed into a giant beautiful cream puff! The fabric is such a nice quality – it has a very subtle sheen to it and feels really supple. I’ve learned over the years that a really high thread count does not actually equate to better quality sheets because the higher the thread count, the thinner the thread; the ideal thread count for a duvet is around 400. 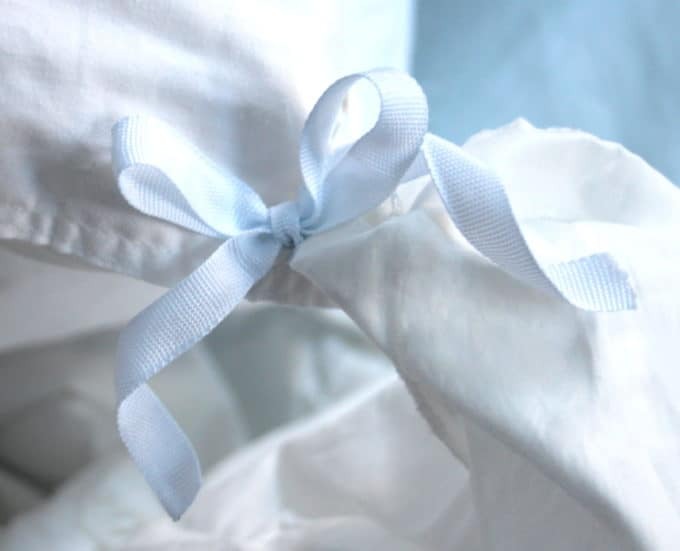 Crane & Canopy duvets are in the 300-400 thread count and made with extra long staple cotton. 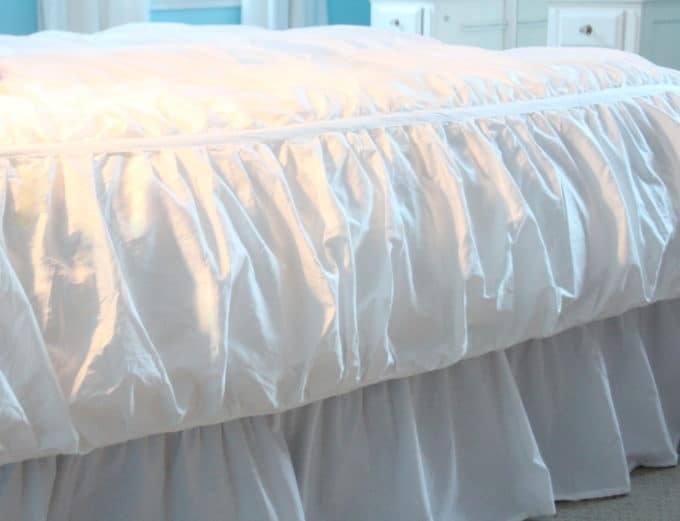 I love the feminine, ruched style duvet because it has a naturally rumpled look to it. Perfect for a 16 year old who climbs into bed after lacrosse practice and does her homework here until I call her for dinner, and then hops right back into this spot as soon as she can!! (She was sitting right here a minute ago all cozy and happy. Until I came along with my camera!) I contemplated ironing the duvet when it first arrived, but after I put it on the bed I thought it looked a bit bohemian and really beautiful as is. Let’s pillow talk for a minute. 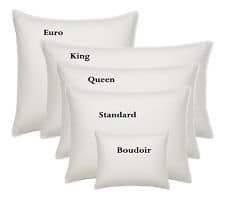 A king size bed traditionally has 3 square (European) pillows in the back, then two king size pillows, and THEN cute toss pillows in the front. 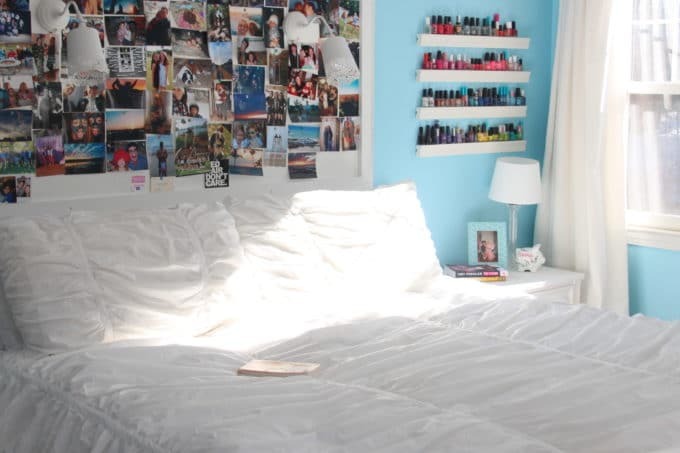 I LOVE how that looks aesthetically, but it doesn’t really make sense for a teen room (or for me either – I don’t love a ton of pillows on my own bed. How about you??) Two king sleeping pillows and two shams are perfect for Hannah and the occasional friend sleeping over (as in, every weekend!). 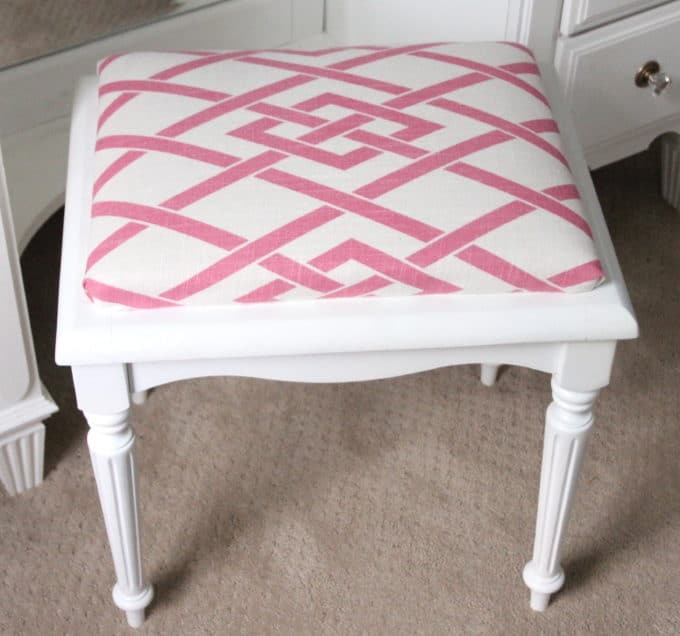 and think it’ll work great with the Secret Gate fabric I covered Hannah’s vanity stool with…. 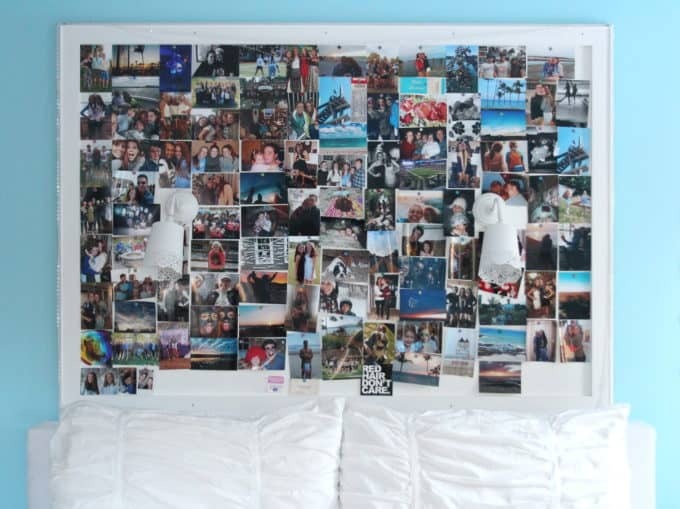 Hannah’s bulletin board is a fun statement in the room and the white bedding balances out all that busy-ness. I love that the duvet has corner ties inside to attach it to the comforter and a zipper instead of a button closure (plus it’s machine washable – which is a must for me). The bedding is perfect for both Hannah and our guests. Many thanks to Crane & Canopy for the invite to experience your beautiful products. I like them so much I just ordered new sheets for my own bed! 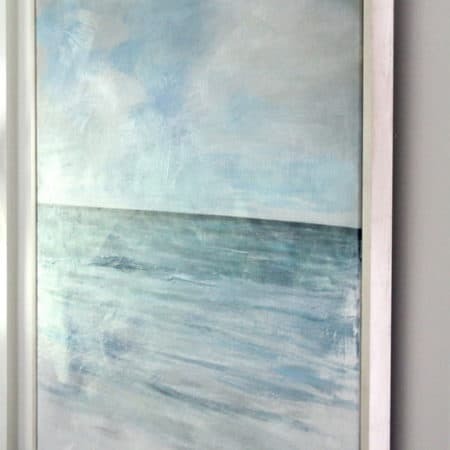 Now hop on over and visit Simple Details to see Pam’s gorgeous bedroom refresh! 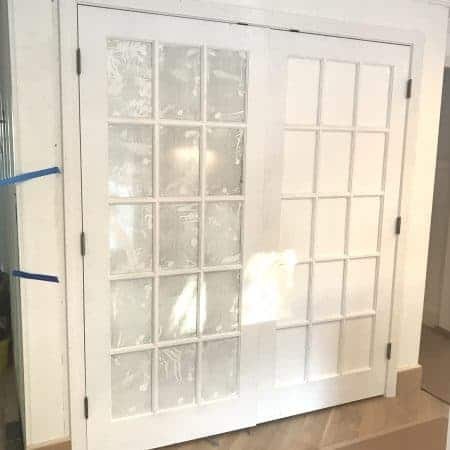 For more projects from Hannah’s room check out these posts! I couldn’t wait to pop over here and see this! 🙂 Oh my gosh, your description of cream puff is perfect, it looks so cozy and inviting I’d want to spend every waking moment there too! 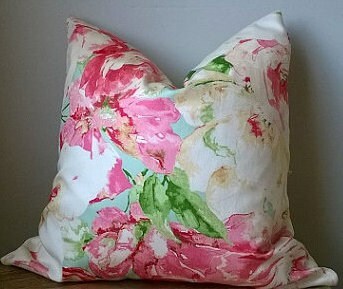 That floral pillow is going to be fabulous! I’ve loved seeing your girl’s room come together! Pam the bedding is almost TOO cozy and inviting – it’s hard for my little chick to get out of that bed! Loved the bedding you used too and would adore that for my own room! This is darling!! I just love all the texture in the bedding!! All white bedding is my favorite!! Thank you Jessica! 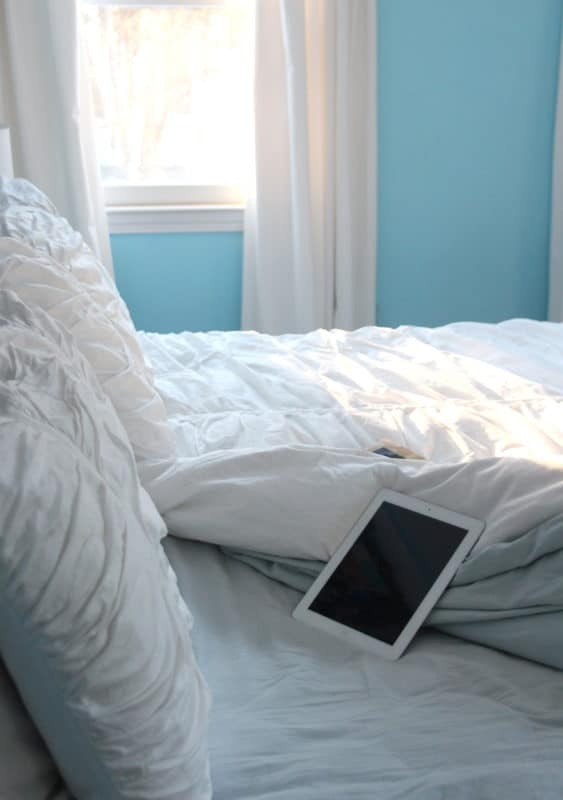 I’ve had all white bedding on my own bed for at least 15 years! 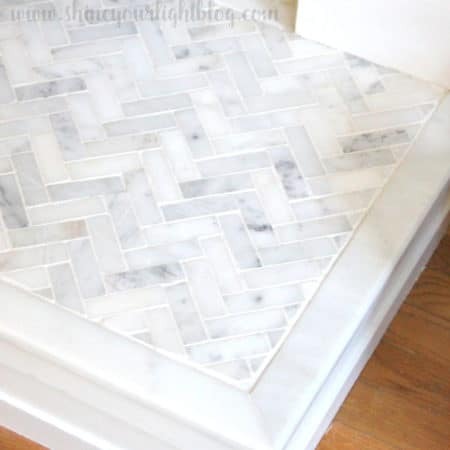 Love how versatile it is, and the bleachability factor! I’ve loved watching this space together and your new bedding is the perfect final touch! She must be thrilled!! And I’m loving that their duvet covers have the corner ties – I have one now that doesn’t and it’s a beast! Kris I’m so glad to have this room (99.9%) finished!! We have dragged this room on forever! Yes the corner ties are great on duvets! 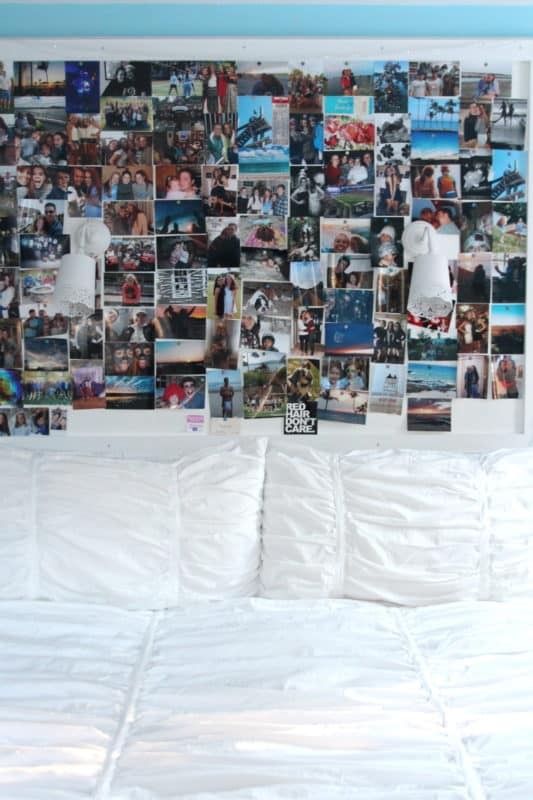 That’s such a fun headboard idea and I love the beautiful white bedding with it. Thanks Julia! 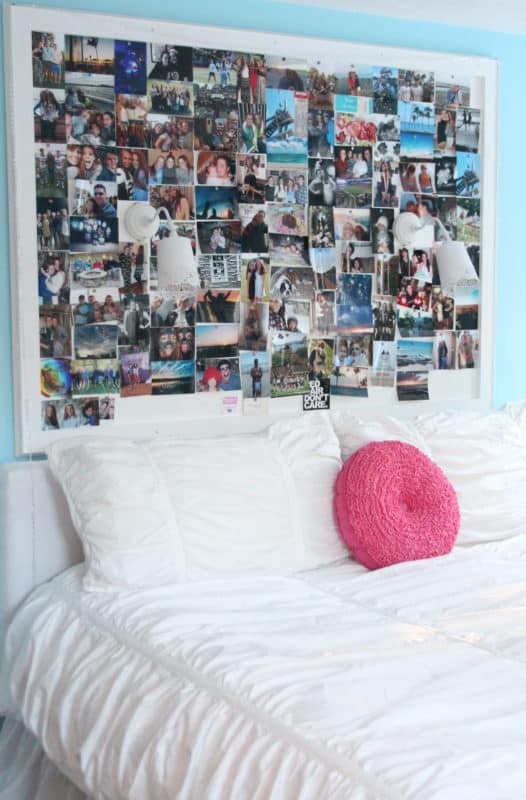 Hannah loves changing out the pictures and it is a fun, colorful contrast to the white bedding.